As both an independent author and publisher, I want to make this blog about issues relating to indie authors and publishing. I have been in the "biz" for over 20 years, and I have been published by both the big publishers and little publishers, and, like Goldilocks, I have found just the right venue with my own business at EMRE Publishing, LLC. 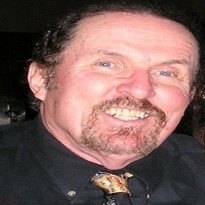 We specialize in enhanced eBooks and publishing packages that put the author next to his reading public. First Place in the 2013 CLUE Book Awards for Mysteries, Suspense and Thrillers. Finalist in the Next Generation Indie Book Awards, 2014. What if Edgar Allan Poe did not die in Baltimore as a drunk in the gutter? What he were, instead, murdered? 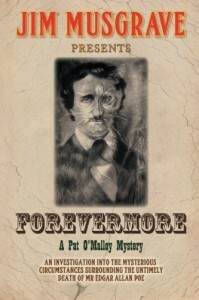 Jim Musgrave's Forevermore is a quick read in four acts that will keep your mind razor sharp trying to solve the mystery of Poe's murder. Pat O'Malley must first find out how to become intimate with females before he can discover the final clue in this puzzle of wits, murder and romance. I adore Edgar Allan Poe and when I started Forevermore by Jim Musgrave I thought, "Oh no...another book about how bad Poe was." Was I in for a marvelous shock! The author, Jim Musgrave, envisioned a young man who admired Poe, even lived in his cottage, and wished to find out what Poe died of, why and who was responsible for the death of the dark poet. Delving into Poe's life just before he died, Patrick O'Malley began his quest into Poe's death. The search for the truth led him to many famous writers such as Henry Wadsworth Longfellow, who hated Poe. John Anderson, the owner of a tobacco shop, who violated a young woman who worked for him, is another. She was the famous "Mary" from one of Poe's novels. O'Malley was told Anderson paid Poe to write the tale to avoid suspicion regarding her death. Oddly enough, John Anderson lived in Sleepy Hollow made famous by the tale of the "Headless Horseman". Other famous names were sprinkled throughout this mystery. Literary references ran rampant and Musgrave was adept at making them fit into his tale. You will also be introduced to the low life. McKenzie, who became a protector, was head of the Plug Uglies. I'll let you read the book to find out what that means. 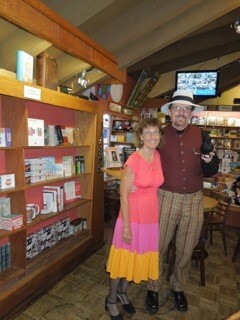 I also met a certain Madame who introduced O'Malley to heights he had never attained before. You will find Joshua Reynolds a person who could have been the subject of Poe's worst visions. There is no generally accepted reason for Poe's death. Some said alcohol, some dementia and others believed diabetes. We know he died in Baltimore in the gutter, dressed like a bum. Mr. Musgrave weaved a wonderful tale and came up with a perfectly believable reason for not only how Poe died, but also why he died like a bum. He was killed. If you want to know by whom, you will have to read the book. Most historians uphold that literary legend Edgar Allan Poe died from complications to his crippling alcoholism. But private detective Pat O’Malley believes otherwise. He believes that Poe was actually a victim of murder. In Forevermore, O’Malley sets forth on a mission of danger and romance to uncover the truth behind the demise of his old friend and one of America’s most important authors. June 7, 2014, San Diego, CA. Jim Musgrave's bestselling mystery novel, Forevermore, is going on to the "Best of the Best" round in the Chanticleer Book Awards Competition in Bellingham, Washington. The novel is also a Finalist in the Next Generation Book Awards, so the honors keep piling up for this first mystery in the popular Pat O'Malley series.